Happy Purim!! Chag Purim Sameach! 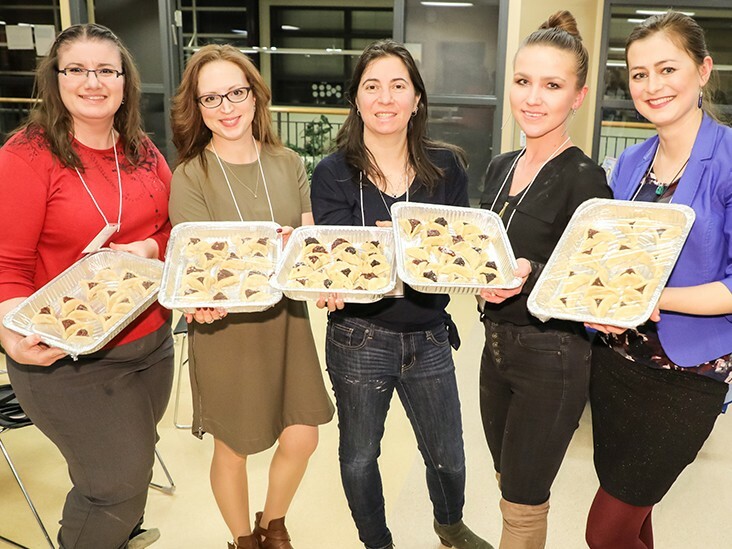 A group of 60 women took part in the SOLD OUT Hamentashen Bake on March 12 hosted by Women’s Philanthropy and PJ Library of the Jewish Federation of Winnipeg. Everyone learned how to bake Hamentashen from our expert bakers Sharon Allentuck and Elaine Goldstine. After preparing the delicious treats at the event, each participant took home their own batch to bake and enjoy at home as well as fulfill the mitzvah of Purim: to prepare Mishloach Manot for family, friends and or neighbours. It was a beautiful evening of sharing Jewish traditions, baking and meeting new friends.